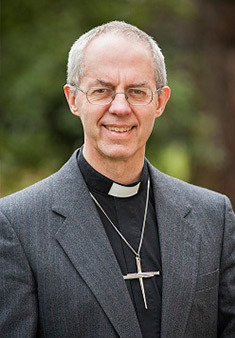 The Right Reverend Justin Welby has been Archbishop of Canterbury and leader of the Anglican Communion since 2013. He is a former Bishop of Durham, Dean of Liverpool and Canon of Coventry Cathedral, who joined the Church of England after an early career in the oil industry. Archbishop Welby has long blended deep devotion to his parish communities with Church work around the world, especially in areas of conflict. In his inaugural sermon he evoked the courage to face up to the work of reconciliation, and he has since identified reconciliation as one of the three priority areas for his ministry.